Easter traditionally is a religious holiday celebrating the resurrection of Jesus Christ. But as with many holidays it has come to be celebrated for other reasons too, and other objects have come to symbolise Easter. Mmmmm chocolate….. The Easter egg and the Easter bunny are probably the most recognisable, and this Walbrook site is not short of either. You may remember that last week we had a chicken, well now comes the egg! (Have we perhaps solved a mystery?!!) 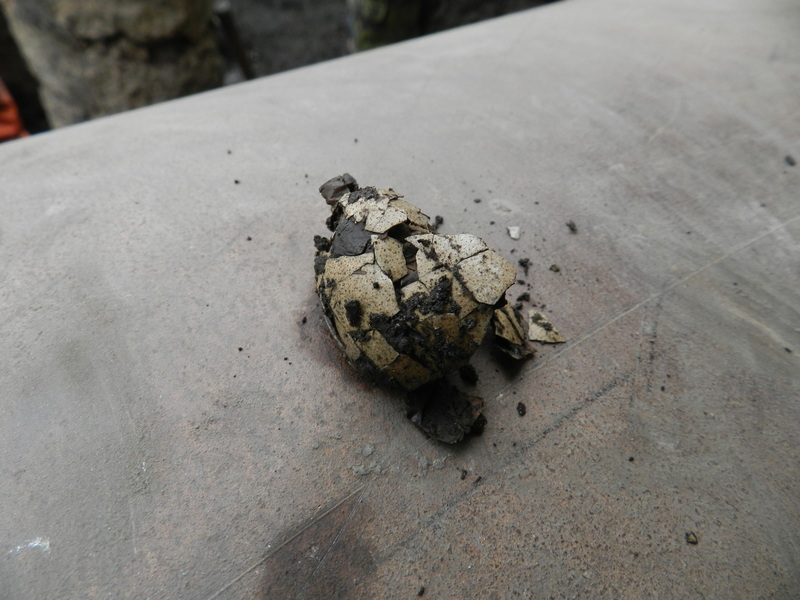 Anyway this lovely little egg shell was found in a large dump of degraded organic material. As commented on the post last week the Romans kept chickens for their eggs, and this may have been a Roman Londoner’s dinner. And what of the Easter bunny? 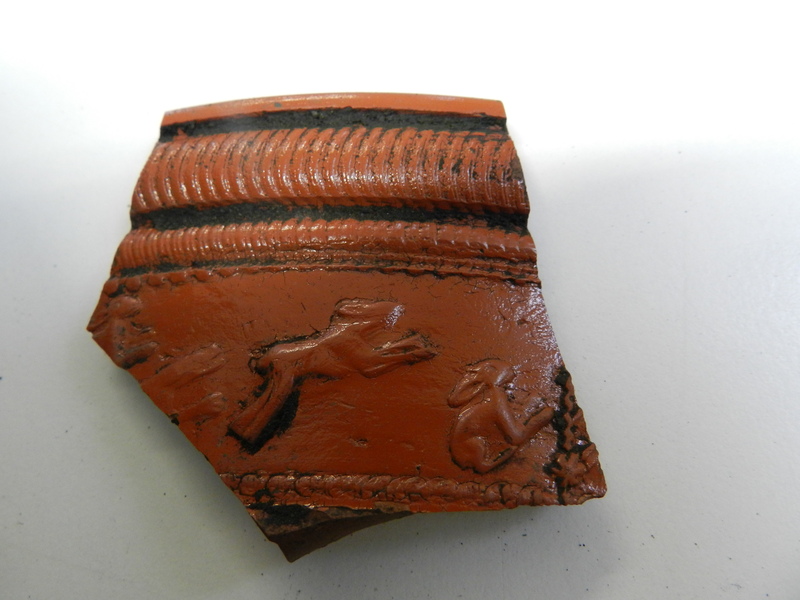 Well we found a few on a piece of decorated samian pottery. Again found within a big dump of material along side other 1st century pottery. Rabbits are thought to have been introduced by the Romans into Britain from Spain. So there you go, a little light hearted look at some of last weeks finds. And we hope you are all celebrating Easter in whichever manner is traditional to you and your families.